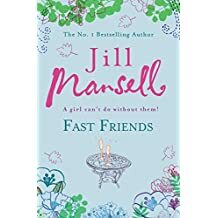 On Friendships with ups and downs: Fast Friends by Mansell – Joyce's mystery and fiction book reviews with some non-fiction too! 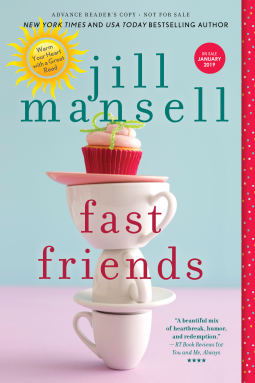 Fast Friends was first published in Britain in 2006. It is now being published in America by Sourcebooks, a company that is releasing many novels by this excellent writer of women’s fiction. The Fast Friends are Camilla, Loulou and Roz who first met when they were in school. Now older, but not necessarily wiser, their lives intersect in this almost 500 page novel. This is a story of three women who want to find lasting relationships but experience missteps, tragedy and heartache along the way. At the beginning of the novel, Camilla lacks confidence and is too eager to please her husband. When she discovers that he has been involved in an affair with one of her friends, her world falls apart. Camilla’s struggles and joys are one narrative thread. Another story line is that of Loulou and Mac. Loulou is the owner of a wildly successful bar/restaurant. She makes a critical decision about her business and her beliefs as the story unfolds. Loulou’s relationship with Mac has been complicated for many years. She wants to be with him but becomes involved with others and not so happily. Will their relationship work out? Third is Roz who is a successful TV host. She, too, has many romantic calamities and has let the one she most cared for get away. That would be Nico, a rock star. Their story together may not end happily. Overall, while I enjoyed this novel, it was not my favorite by this author. At times, I felt that the book was a bit too long. Also, it seemed to me that there were too many unplanned pregnancies. 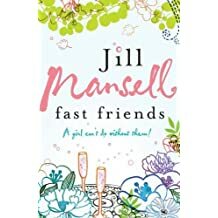 However, if you like Jill Mansell, you will certainly want to give this one a look. Thanks to NetGalley and the publisher! Pingback: More from Mansell: Maybe this Time – Joyce's mystery and fiction book reviews with some non-fiction too!